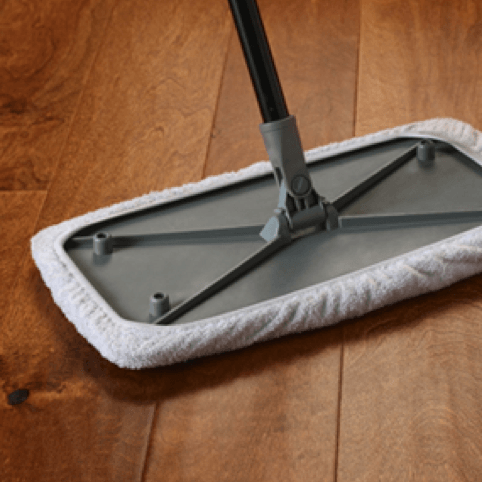 What should you use to clean vinyl plank? Today’s resilient (vinyl) flooring have various benefits; affordable, comfortable and beautiful. It is quickly becoming our customer’s favorite flooring choice. Many of them are also 100% waterproof, so they’re great flooring for bathrooms, dens, and kitchens. Even though some manufacturers offer water resistant technology built into the plank and tile finish, it is still important to wipe away water spills as quickly as possible. Frequent care and maintenance of your luxury vinyl tiles and planks can be quickly built into your overall home cleaning routine, so it won’t feel like such a chore! For daily upkeep, we recommend sweeping, dust mopping or vacuum with a manufacturer-approved vacuum cleaner without a beater bar. Also place entry or doormats at the entrance to the room to avoid tracking outdoor dirt and soil across your flooring. If your flooring needs more than just a dry surface clean, use a manufacturer approved cleaning solution and follow their guidelines. For most approved cleaning solutions, you just need to spray and wipe dry without any unnecessary rinsing or washing. For common household spills, wipe with a micro-cloth and once dry, follow up with a manufacturer approved hard surface floor cleaner to keep your floors looking brand new! When it comes to those tougher household messes like wax, gum, or nail polish, make sure you’re first consulting with your manufacturer guidelines for approved stain removal tips. 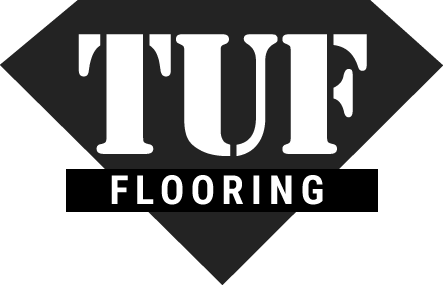 For any other questions, you can always call the TUF Flooring showroom during store hours, our friendly representatives are happy to help! Copyright © 2019 TUF Flooring LLC.